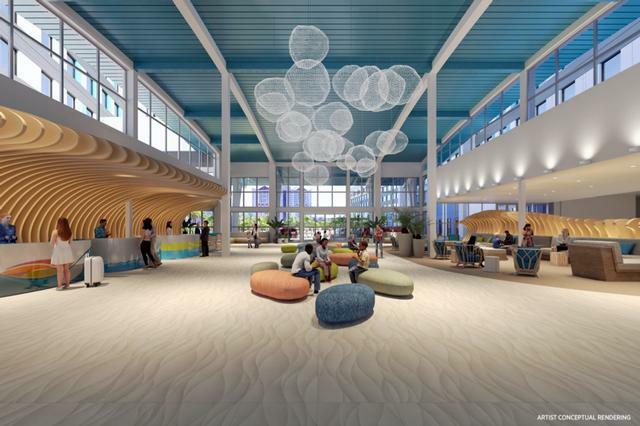 Universal's Endless Summer Resort - Surfside Inn and Suites is a hotel now under construction at Universal Orlando. Two hotel complexes on either side of Universal Blvd., Surfside Inn and Suites and Dockside Inn and Suites, will offer a total of 4,000 rooms, including 1,450 two-bedroom suites. These will be Universal's lowest-priced hotel rooms, with rates starting under $100 a night for standard rooms. A stay at the hotel will include Early Park Admission benefits, although they will not offer Universal Express Unlimited, which remains only for guests of the original three on-site Universal Orlando hotels: The Portofino Bay, Hard Rock, and Royal Pacific. Surfside Inn and Suites will open in the summer of 2019. Dockside Inn and Suites, will open in 2020.